The Digital Skills and Jobs Coalition brings together Member States, companies, social partners, non-profit organisations and education providers, who take action to tackle the lack of digital skills in Europe. The Coalition tackles the need for digital skills of four broad groups: Digital skills for all – developing digital skills to enable all citizens to be active in our digital society; Digital skills for the labour force – developing digital skills for the digital economy; Digital skills for ICT professionals – developing high level digital skills for ICT professionals in all industry sectors; Digital skills in education – transforming teaching and learning of digital skills in a lifelong learning perspective, including the training of teachers. EuroGender is the European Institute for Gender Equality (EIGE)'s online cooperation and consultation hub that allows all its members to share knowledge and contribute to advancing gender equality in Europe and beyond. The EIGE is governed by a Management Board consisting of eighteen (18) representatives nominated by the Member States (on a rotational basis) and one (1) representative from the European Commission. To facilitate effective decision-making of the Board, a Standing Committee discusses and guides EIGE in the preparation of the documents for the Management Board meetings. The Institute has an advisory body - the Experts’ Forum - comprised of 33 members (28 nominated by the Member States, three representatives from the European Commission and two representatives from the European Parliament). Besides this, some members of the Experts’ Forum contribute with their expertise to the work of EIGE’s permanent Working Groups and its Thematic Networks. The European Forum for Primary Care was initiated in early 2005 by a group of interested parties from several countries. The aim of the Forum is to improve the health of the population by promoting strong Primary Care. This is done by advocating for Primary Care, by generating data and evidence on Primary Care and by exchanging information between its members. The Forum connects three groups of interested parties: the health care field, health policy makers, and the producers and evaluators of health care information. These interested parties work at three levels: the local or district level, the national level, and the supra-national level. By linking policy practice and research the Forum intends to stimulate policy making based on vision and evidence as much as it intends to support Primary Care practice oriented towards quality and equity. VAS is a European Scientific non profit Association whose mission is to contribute to the development of Angiology/Vascular Medicine, in multi-center co-operation amongst clinicians and researchers throughout Europe and Worldwide. VAS is determined to achieve high Quality results with Independence from any economic interest and enabling Collaboration amongst its members.The triad Research - Education - Clinical Practice has been at the core of VAS culture right from its inception, to exploit the synergy between education and research and ensure the timely implementation of results in clinical practice. The New European Surgical Academy (NESA) is an international, interdisciplinary organization with members in 54 countries and associated with international organizations like FIGO, the German Gynecological Association, the Danish Surgical Association and the Hong Kong Medical Academy. NESA modifies and improves surgical procedures, has created the first European working group for natural orifice surgery and created new concepts for post-operative oncological treatment. NESA initiated and performed the All-African Surgical Database project. The EU-US eHealth Project aims to Map Skills and Competencies, Provide Access to Knowledge Tools and Platforms, and Strengthen, Disseminate and Exploit Success Outcomes for a Skilled Transatlantic eHealth Workforce. The overall goal of the EU*US eHealthWork Project will be to measure, inform, educate and advance eHealth and health information technology skills, work and workforce development throughout Europe, the United States and globally. The general objective of the H-Com project is to build and strengthen communication skills of health professionals (with a focus on medical doctors and nurses), so as to improve patient – professional relations as well as inter-disciplinary communication. The project’s long term goal is to create a comprehensive and validated learning tool for the improvement of skills and competencies of health professionals in communication, and ultimately improve health outcomes among patients across the EU. The InterHealth Project is aims to address the current training needs of healthcare professionals through innovative training products and reaching out techniques, namely the InterHealth Curriculum, the InterHealth Mobile Application and the InterHealth Forum. 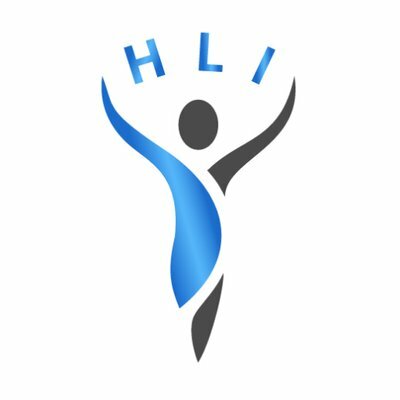 The Health Law Institute (HLI) envisions a world where “All health workers will be supported and motivated to provide care commensurate with their skills, in safe environments, under decent working conditions, and empowered to be true stakeholders in the development of sustainable healthcare systems”.